Watch duo of new NUFC signings combine to score impressive goal for U-23’s – Two future stars? – NUFC blog – Newcastle United blog – NUFC Fixtures, News and Forum. The likes of Elias Sorensen and Cal Roberts have hogged the headlines when it’s come to our U-23’s this season, but there’s two new kids on the block who are now catching the eye – Yannick Toure and Rosaire Longelo. Both were snapped up by the club over the summer, with Swiss youth international Toure arriving from BSC Young Boys and 19-year-old winger Longelo signing from West Ham. This was Toure’s 5th goal in his last two games, with him scoring a 16-minute hat-trick before bagging a brace in this emphatic win over Southampton U-23’s – taking his tally up to 7 goals in little over 10 appearances for the club. As far as Longelo is concerned, he’s been going under the radar with several goals and assists in recent weeks – and this impressive burst of pace in setting up Toure is a real glimpse of what he’s capable of. 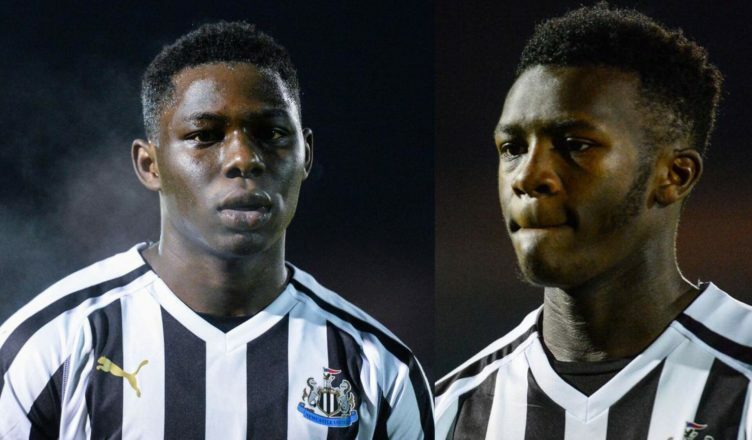 With Sorensen and Roberts now out on loan until the end of the season, these are two NUFC talents to watch out for, with it finally feeling as though we have a good group of youngsters coming through at present.